John has spent 10 years as a Project Manager at Flowserve. Prior to Flowserve, he was in outside sales through the early 2000’s. After graduating from Brigham Young University and competing in intercollegiate golf he turned Professional and was the Golf Pro at Eagle Crest Resort in Central Oregon. John met Kristin Warner in late 1991 and they were married in August 1992. John and Kristin were constant companions. Kristin is an accomplished author and has written more than 22 novels, six of which have been published. She also wrote a series of children’s books that were illustrated by her son, Conner. They enjoyed this endeavor as it gave them the opportunity to spend many priceless hours together. Kristin was an entrepreneur and the creative mind behind several successful businesses for which she designed and made the merchandise. Her creative talents were best shared when she and her daughter, Alison, would design and produce projects together. 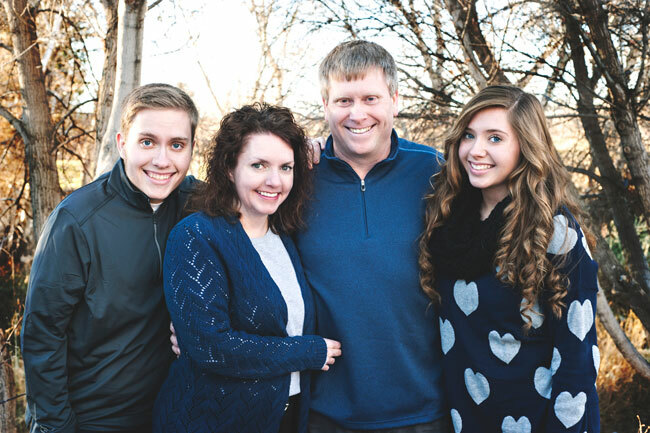 When Kristin was diagnosed with Stage 4 Colon Cancer in November of 2013 a new chapter had begun in their lives. Kristin was privileged to work with Dr. Sunhil Sharma and his team at the Huntsman Cancer Institute. During her 5 months of treatment at Huntsman, she made many friends with Doctors, Nurses, and staff, many becoming like family during the treatments and 3 extended stays in the Huntsman Hospital. Ultimately, Kristin lost her battle to cancer in February 2016, her spirit lives on in her work, family and support of the Huntsman Cancer Foundation. By chance or inspiration at a golf course, John was introduced to Guy Roche Sr. and has since had the opportunity to begin to give back to Huntsman Cancer Institute through the “Golf to Eradicate Cancer” tournament, benefiting the Primary Children’s and Families Cancer Research at Huntsman Cancer Institute. As this new chapter in life begins to unfold, John wishes to thank all who took care of or cared for Kristin during her battle with this most heinous disease and asks that you join him in this fight by supporting the Huntsman Cancer Foundation.